Oz the Great and Powerful DVD Review A slightly better film than the dark and surreal Return to Oz, Oz the Great and Powerful serves as a great introduction to L. Frank Baum’s unique creation and is a worthy companion piece to the original film. It’s always a risky move when a beloved franchise is expanded upon through the addition of a prequel to the canon. Movies like The Thing, Dumb and Dumberer and the much maligned Star Wars prequels are prime examples (Although I personally didn’t exactly hate The Thing prequel, I seem to be in the minority) but occasionally the odd gem like Rise of The Planet of the Apes slips through and bucks the trend. 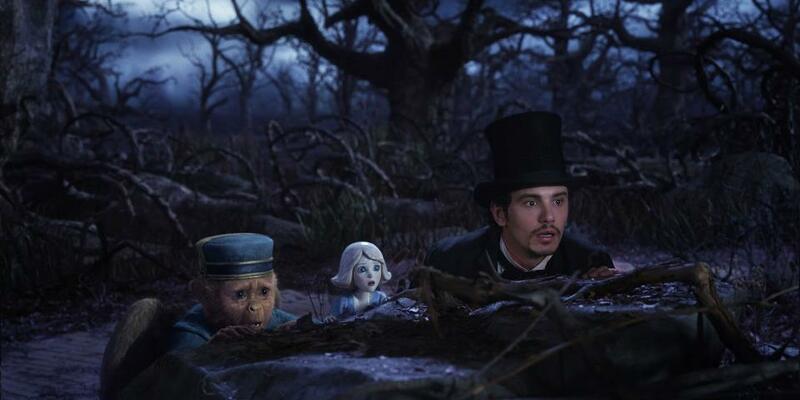 Like the aforementioned Apes prequel, Oz the Great and Powerful stars James Franco and attempts to explain the sequence of events that eventually lead into the classic film, but does it do the original justice or is it a superfluous addition to a franchise held in high regard? An original story instead of being directly sourced from the works of L. Frank Baum, Oz the Great and Powerful opens in 1905 with womanising magician Oscar Diggs (Franco) eking out a meagre existence performing with a travelling circus as Oz the Great and Powerful and taking advantage of any opportunity that comes his way. With his promiscuous ways coming back to bite him on the behind, Oscar is forced to flee from an irate strongman and take to the skies in a hot air balloon; unfortunately he chooses to do this just as a twister tears through Kansas, sucking him up and spitting him out in a strange and magical land that bears his stage name. Assumed to be the prophesised saviour who will rescue Oz from the nefarious clutches of the Wicked Witch, Oscar finds himself hailed as a hero and entitled to a bounty of riches... On one condition: That he find the witch and break her wand, which by proxy will destroy her. Theodora (Mila Kunis), the youngest and naive of the three witches, is convinced that Oscar’s sleight of hand and parlour tricks proves that he is the true Wizard; her older sister Evanora (Rachel Weisz) isn’t as easily deceived, however, and demands that he proves himself. 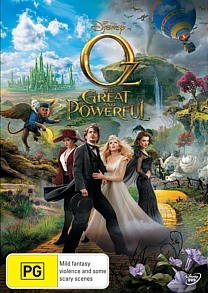 Accompanied by Finley (Zach Braff), a flying monkey who owes Oscar a life debt for rescuing him from a lion, and a literal China Girl (Joey King), Oscar journeys to the dark forest to vanquish the witch (Michelle Williams), only to find that things aren’t as they initially seem and although he may not be exactly the wizard that Oz was expecting, he may very well be the saviour Oz needs. 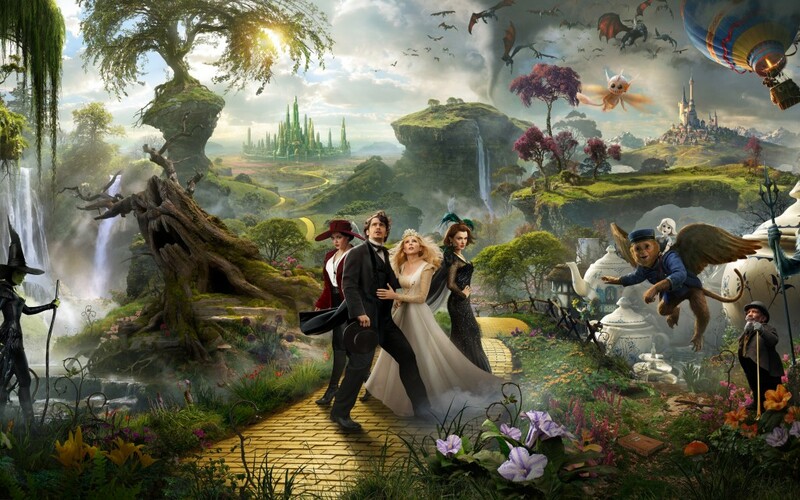 Visually Oz the Great and Powerful is a stunningly gorgeous film; some criticism has been levelled at the perceived overly-animated quality of the Land of Oz itself, but personally I felt that it emphasised the fantastic quality of this mystical land. Sure, certain sections can look overly glossy and dated, but when one remembers that the film was made to be viewed in 3D this can be excused somewhat. It could be argued that, much like the Star Wars prequels, the practical effects in the original were more effective in conveying a realistic world, but again, I personally found myself too absorbed in the film to really dwell on the issue. One major issue I did have with the film was Sam Raimi’s staid direction; lacking the visual flair expected from the man who brought us The Evil Dead trilogy, it appears as if his hands were tied somewhat by working under the watchful gaze of The Mouse House. That’s not to say that the direction is bad, per se, it’s just not instantly identifiable as a Raimi film. Speaking of Raimi films, the closest analogue to Oz the Great and Powerful isn’t the beloved MGM original but Raimi’s own Army of Darkness: A stranger in a strange land is mistaken for the hero of prophecy and is tasked with ridding the land of a pervasive evil. Despite their seeming ineptitude, they use elements of technology from their own world in order to combat magic and eventually reign victorious. The script is chock-a-block with subtle nods towards The Wizard of Oz and is well crafted with engaging subplots and clever explanations for aspects of that film that seem anachronistic by today’s standards. The dialogue is rather weak, however, and a certain suspension of disbelief is necessary to overlook some minor plot holes, but for the most part I think the film succeeds in replicating that youthful wide eyed wonder with which I viewed the original film. Another nice touch is the decision to open the first twenty minutes of the film in letterboxed black and white, a not so subtle nod to the original that serves to enhance Oscar’s eventual arrival in the magical world of Oz, although sticklers may bemoan the fact that it’s not presented in sepia tone. 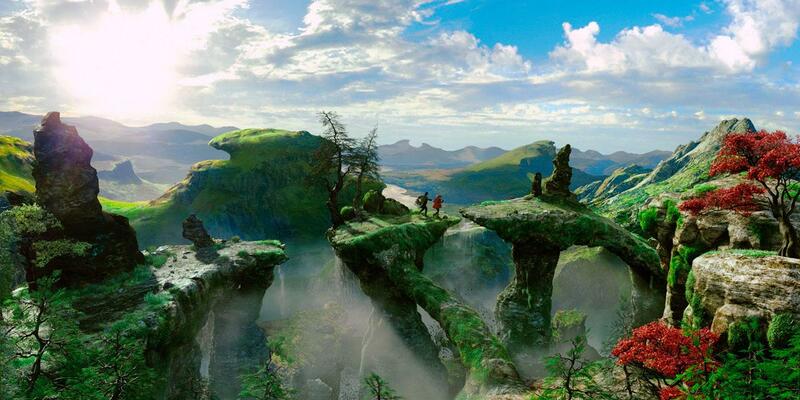 The film is clearly built for the 3D format, so it’s inevitable that the 2D version feels slightly flat in comparison, but the whimsical nature of the film shines through these flaws to present an enjoyable return to a much loved franchise. Oz the Great and Powerful comes to DVD with a selection of bloopers, which are exactly as one would expect, and a rather interesting documentary covering Disney’s attempted acquisition of The Wizard of Oz rights way back in the 30’s and other failed attempts to bring the world of Oz back to our screens throughout the years. I could have done with a bit more focus on the film itself, but for the often short changed DVD market, I’m just thankful to have any extra features of worth included at all. 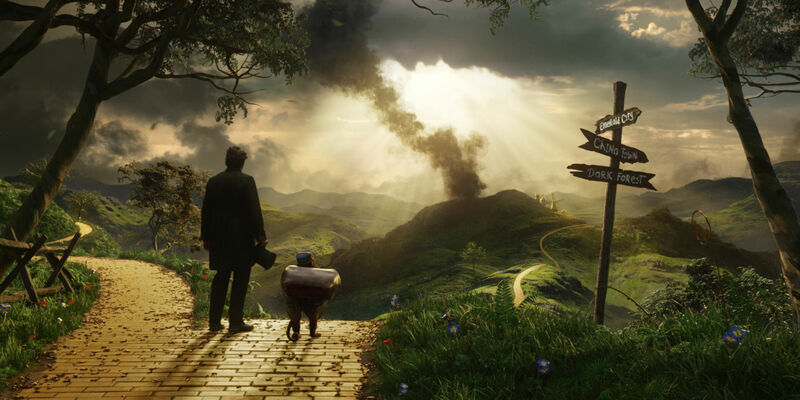 Although it’s a bit unfair to judge Oz the Great and Powerful against the truly classic The Wizard of Oz, such comparisons are unfortunately inevitable and the film falls short of reaching the lofty heights set by that film. 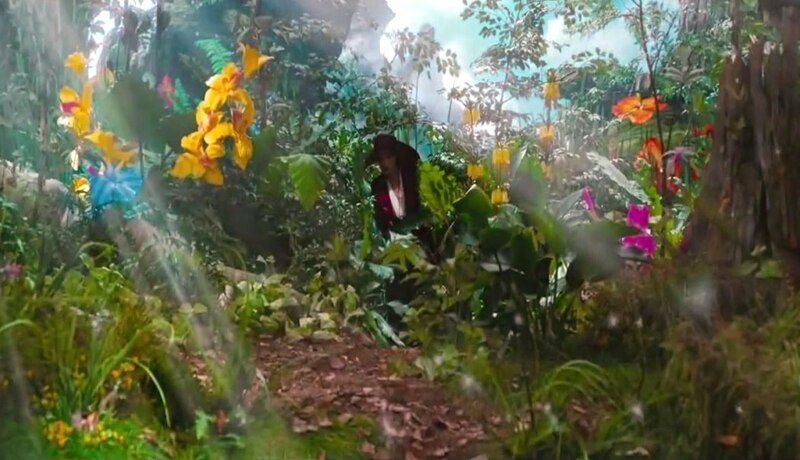 However, when judged on its own merits, Oz the Great and Powerful is an enjoyable sojourn back to the land of Oz, where Crystal flowers bloom and entire armies of cult hero Bruce Campbell are a reality. I may be out of step with a majority of other reviewers, possibly because I viewed the film with two enamoured youngsters, but I found the film to be a commanding addition to the franchise and, with the ending setting up a potential sequel, look forward to further exploring the history of Oz. A slightly better film than the dark and surreal Return to Oz, Oz the Great and Powerful serves as a great introduction to L. Frank Baum’s unique creation and is a worthy companion piece to the original film.